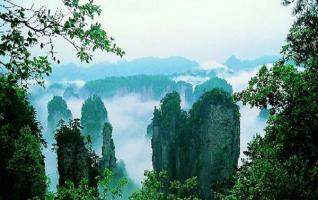 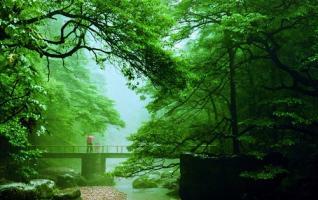 Zhangjiajie National Forest Park was established by the State Council in 1982 as the 1st National Forest Park of China. 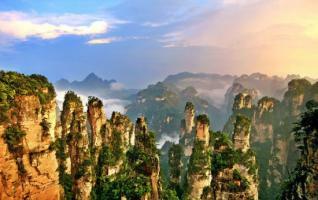 Covering 13 sq km, the park is known for its unique landscape with lush forests dominated by quartzite sandstone pillars. 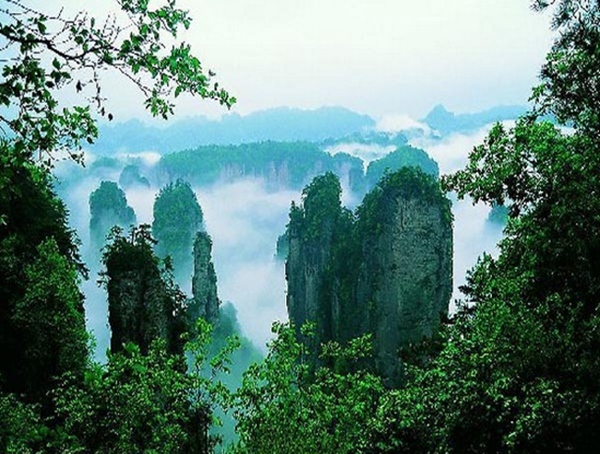 Bubbling brooks and charming lakes wind around the area and connect giant caves. 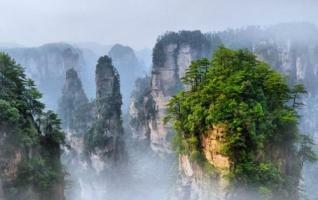 One of China's most beautiful nature reserves, Zhangjiajie has wonderful hiking trails in a serene environment of staggering natural beauty.Highlights in Zhangjiajie National Forest Park: Huangshizhai(Yellow Stone Stronghold) Golden Whip Brook,Yaozizhai,Yuanjiajie.Zhangjiajie village is a part of Zhangjiajie National Forest Park.and also a hospitality center with a population of 500 local people, tourist facilities have been set up, there are one 4-star hotel(Xiangdian International Hotel), one government VIP reception hotel(Pipaxi Hotel), 3-star hotel(Honghegu Hotel, Minsu Hostel, Yalin Hotel),and some hostels like Transport hotel and Railway hotel, a post office, a China Mobile office, a bank of agriculture where ATM is for foreign credit card, internet cafe, shops for daily necessity and local Souvenirs, and local restaurants.Transport information: Zhangjiajie National Forest Park is 32km away to Zhangjiajie city, 38km away to Zhangjiajie Train Station and Airport; it will take 40 minutes drive to Zhangjiajie National Forest Park, public buses run between the city and the park. 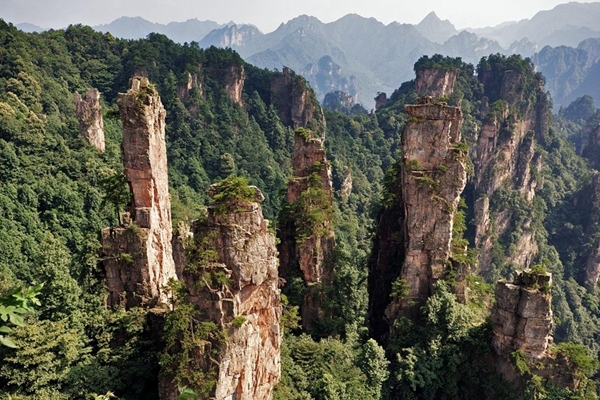 Origin of the name,The new name of Zhangjiajie City was adopted in 1994, after the National Forest Park in the Wulingyuan Scenic Area (武陵源) in order to give it more prominence and after this site had been designated a UNESCO World Heritage Site in 1992. 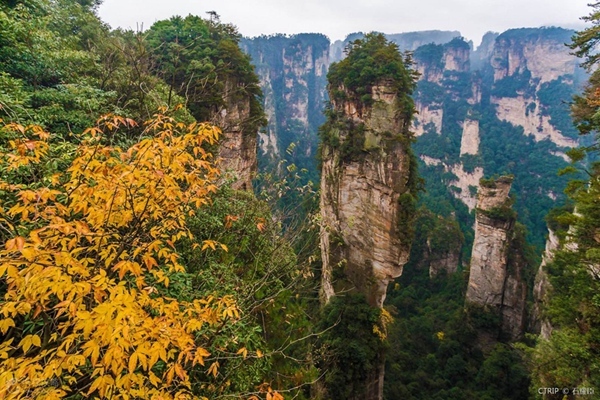 The National Forest Park had been given the name of Zhangjiajie after the name of a small village located within its bounds, and now a popular tourist attraction within the park. 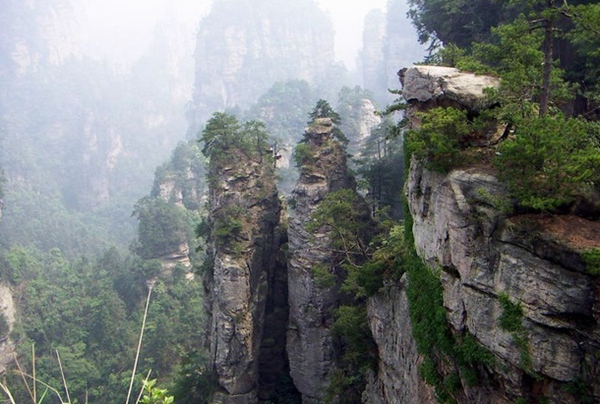 The three-character name (张家界) can be interpreted as follows: Zhang (张) is a common surname in China; jia (家) can be translated as family; and jie (界) can be translated as homeland, giving the completed translation of Zhang family homeland. 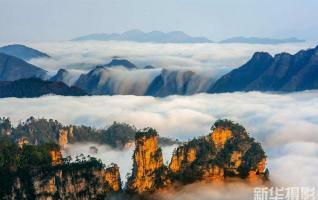 It has been reported that at least one tourist guide has said that the name may have been chosen to convey the idea or impression of Open the family door to welcome the world, but this is not the locally-accepted and directly translated meaning of the name.